Some say there’s no honesty in journalism anymore. 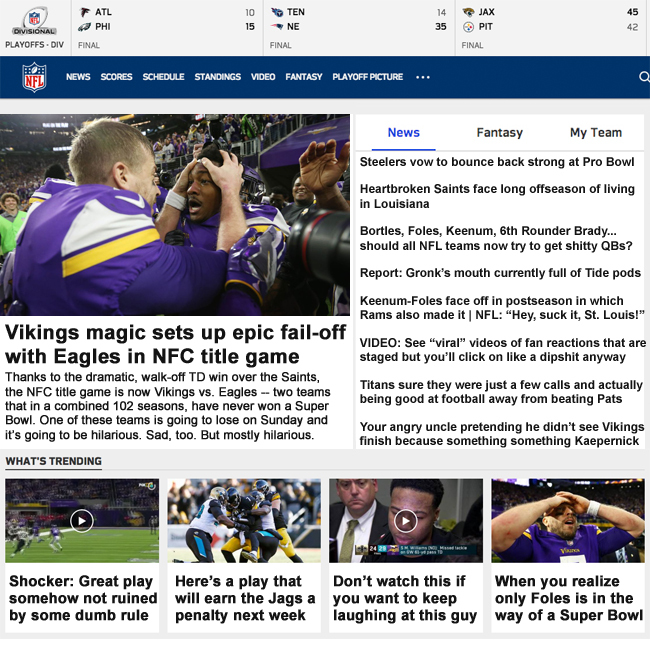 Some have clearly never read Honest NFL Headlines. Come back next week for honesty about the Conference Championship Games.